Kids love making their own gingerbread house this time of year but it can be quite a mess at home. Here is a solution, and it’s free! 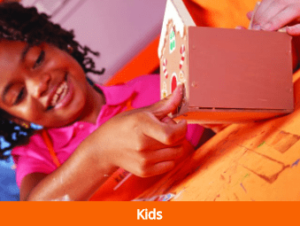 The Home Depot hosts free workshops and monthly, they have a special opportunity for kids. This weekend it’s a DIY gingerbread house that your kids will enjoy. You get to take home their creation and save from some mess at home. During the workshop, the kids will build the wooden house and then decorate it with paint and stickers. Kids love to hammer! When they are finished, they can proudly take home their product, a certificate, their work apron, and a pin. This is all *while supplies last* so get there early! Looking for more winter fun for the family? Click here.